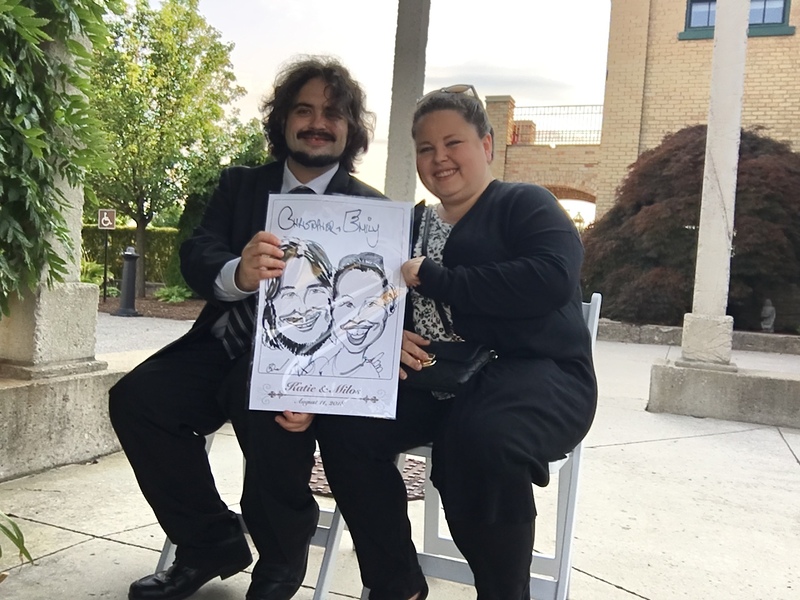 Bruce offers live caricature entertainment for weddings, bar/bat mizvahs, children’s parties, corporate parties, company picnics, trade shows, and more.Services are available in traditional (pen and paper) and digital formats. Our goal is to make your event one to remember and that starts at your first communications with us. We have been in business for over a decade and have systems in place to ensure your event is a success. Bruce is very professional, dresses appropriately for all events and has an upbeat and fun attitude to ensure all guests enjoy themselves to the fullest. He was even featured on a segment of the popular show “Dinner Party Wars” for the Food Network and was asked to draw the hosts live. By the way his couple won. Weddings, corporate events, and parties of all types are the main live events covered by the company. If you really want to know what happened on Dinner Party Wars then you can watch it on the Food Network (Jamaican Me Crazy Episode) or watch the video below. Okay now that you’ve satisfied your curiosity can we get on with booking your event? I helped them win, now let me help you win, click the link! Want to see pictures from our live events? Click here! Still need more information for booking? Check out the video below. Get a quote on your event by clicking here!